"A Harmony Ink Press Young Adult Title " "The Woodmen Chronicles: Book Two " Thom Woodman is a bigfoot, although he prefers to be called an Oh Mah. When it comes time for the Oh Mah biannual gathering, he's excited to go with Ben Steele, the human he bonded with. To Thom's surprise, he is offered a place among the Guardians, the leaders of the Oh Mah. But since he grew up half in the human world, he can't make a decision before he finds out more about these Guardians. When an Oh Mah is killed by a human, the growing antihuman sentiment runs rampant through the gathering. 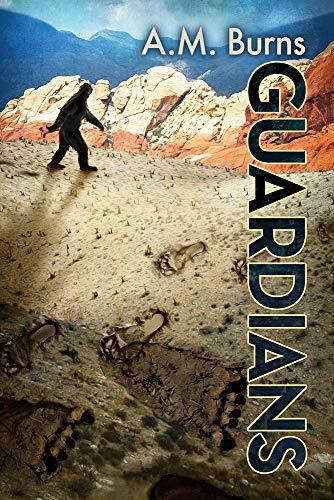 Thom's family swears to help protect Ben, but when some of the Guardians join the anti-human faction, they aren't sure they can live up to their promise. Even when Ben is kidnapped, Thom doesn't know what to say when the Guardians demand his answer. Thom feels like he's not only being forced to choose between the Oh Mah and the human world, but also between a life with or without Ben.